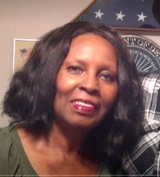 Orsie Lee Carter, a 79-year-old black woman, was found dead Tuesday, May 22, in the 3900 block of South Bronson Avenue in Leimert Park, according to Los Angeles County coroner’s records. Shortly before 8:30 p.m., a family member found Carter, along with her husband, William Carter, 83, and her son, Phillip Steven White, 65, in the bathroom of White’s home, police said. All three had been beaten and shot and were pronounced dead at the scene, authorities said. Forensic evidence implicated Nancy Jackson, a 55-year-old black woman and a longtime friend of White’s, in the slayings, LAPD Capt. Peter Whittingham said at a news conference announcing charges against Jackson. 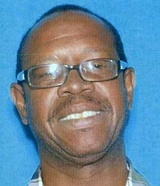 Phillip Steven White, a 65-year-old black man, was found dead Tuesday, May 22, in the 3900 block of South Bronson Avenue in Leimert Park, according to Los Angeles County coroner’s records. Shortly before 8:30 p.m., a family member found White, along with his mother, Orsie Lee Carter, 79, and his stepfather, William Carter, 83, in the bathroom of White’s home, police said. White had lived in the beige Spanish-style home for 40 years, friends said. 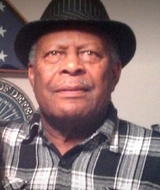 William Carter, an 83-year-old black man, was found dead Tuesday, May 22, in the 3900 block of South Bronson Avenue in Leimert Park, according to Los Angeles County coroner’s records. Shortly before 8:30 p.m., a family member found Carter, along with his wife, Orsie Lee Carter, 79, and her son, Phillip Steven White, 65, in the bathroom of White’s home, police said. Andre Potts, a 45-year-old black man, was shot and killed Saturday, Jan. 6, in the 4300 block of Leimert Boulevard in Leimert Park, according to Los Angeles County coroner’s records. LAPD officers were investigating a traffic incident near Leimert Boulevard and West Vernon Avenue shortly after 4 a.m. when they heard two bursts of gunfire, said Los Angeles Police Det. Dave Garrido. The officers responded to West 43rd Street and Leimert Boulevard, where they found Potts, who had been shot, lying on the ground, Garrido said. Potts was taken to a hospital, where he was pronounced dead at 6:29 a.m., according to coroner’s records. Detectives are seeking additional witnesses to the shooting, Garrido said. R/O 2627 W. Vernon Ave.
Philip Osby, a 59-year-old black man, was shot and killed Tuesday, Sept. 12, in the 2600 block of West Vernon Avenue in Leimert Park, according to Los Angeles County coroner’s records. Osby was in an alley near his car about 2 a.m. when he was shot, Los Angeles Police Det. Dave Garrido said. It’s unclear why Osby was in the area, or what he was doing near his car, Garrido said. Osby was pronounced dead at the scene at 6:06 a.m., according to coroner’s records. Trevante Romero Banks, a 27-year-old black man, died Thursday, May 25, after he was stabbed near West Martin Luther King Jr. and Crenshaw boulevards in Baldwin Hills/Crenshaw, according to Los Angeles County coroner’s records. About 11:30 p.m. on May 4, Banks and another person were standing on a street corner drinking together when the other man challenged Banks to a fist fight, said Los Angeles Police Det. Dave Garrido. The man pulled out a knife and stabbed Banks, police said. Detectives are looking for the suspect, whom they describe as a black man in his 30s. Banks was taken to a hospital, where he died May 25 at 8:14 p.m., according to coroner’s records. Stocker Plaza & 8th Ave.
De Marco Rankin, a 32-year-old black man, was shot and killed Wednesday, April 19, in the 2900 block of Stocker Plaza in Leimert Park, according to Los Angeles County coroner’s records. About 2:20 p.m., Rankin was sitting in the front passenger seat of a silver Ford pickup at 8th Avenue and Stocker Plaza when a dark-colored sedan pulled up, Los Angeles Police Det. Dave Garrido said. A black man exited the vehicle, approached the truck and fired multiple shots into the vehicle, Garrido said. Rankin, who got out of the truck and collapsed a short distance away, was pronounced dead at the scene at 3:30 p.m., according to coroner’s records. Davion Lloyd Campbell, a 26-year-old black male, died Saturday, Oct. 1, after being shot in Leimert Park, according to Los Angeles County coroner's records. Balham Mitchell Frierson, a 45-year-old black man, was fatally shot Thursday, June 16, in the 4300 block of Garthwaite Avenue in Leimert Park, according to Los Angeles County coroner’s records. Shortly before 2:30 p.m., Frierson was shot in front of an apartment complex entryway, said Los Angeles Police Det. Rick Gordon. The assailant walked up and shot Frierson, then ran north on Garthwaite Avenue, Gordon said. Investigators think the killing was the result of a personal dispute, Gordon said. Frierson was pronounced dead at the scene at 2:50 p.m., according to coroner’s records. Anyone with information is asked to call Criminal Gang Homicide Division at (323) 786-5110. Those who wish to remain anonymous can call Crime Stoppers at (800) 222-8477. 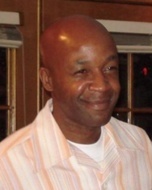 Joseph Barrington Bell, a 56-year-old black male, died Friday, May 27, after sustaining blunt force trauma in Leimert Park, according to Los Angeles County coroner's records. 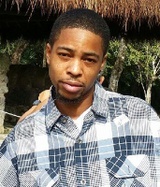 Derron Jamaire Jones, a 25-year-old black man, was shot and killed Monday, July 20, near West 41st Street and McClung Drive in Leimert Park, according to Los Angeles County coroner’s records. About 6:46 p.m., Jones was driving a black sedan south on McClung Drive with a 19-year-old woman and stopped at an intersection, LAPD Det. Dave Garrido said. Another car stopped at the intersection at West 41st Street, and a person inside fired a large-caliber weapon at Jones’ car. Jones’ car collided with another vehicle. Jones was taken to a hospital, where he was pronounced dead at 7:37 p.m., according to coroner’s records. Police said the vehicle suspected in the drive-by shooting was described by witnesses as a light-colored midsized sedan. Ruben Breedlove, a 28-year-old black man, was shot and killed Saturday, July 4 in the 3900 block of Third Avenue in Leimert Park, according to Los Angeles County coroner’s records. Shortly before 11 p.m., Breedlove was walking on a sidewalk when a person chased him into the street and began shooting at him, said LAPD Det. Dave Garrido. The gunman then ran away. Breedlove was pronounced dead at the scene at 11:14 p.m. according to coroner’s records. Larise L. Smith, a 56-year-old black man, was shot and killed Monday, Dec. 8, in the 2800 block of West 42nd Street in Leimert Park, according to Los Angeles County coroner’s records. Smith was walking his dog in the area shortly after 6:30 p.m., said LAPD Det. Sal LaBarbera. He stopped at the corner of West 42nd Street and 7th Avenue to talk to neighbors when a person approached and asked him where he was from, LaBarbera said. Smith was not affiliated with a gang. The gunman fired several shots. Smith was taken to a hospital where he was pronounced dead at 8:22 p.m., according to coroner’s records. White was outside the store about 10:30 p.m. May 3, when he was punched multiple times, causing him to fall and hit his head on a sidewalk, according to the police report. He was taken to Cedars-Sinai Medical Center and died on Monday, May 6 at 8:38 p.m. Los Angeles County coroner's office spokesman Ed Winter said officials have not determined a cause of death.